If you’re visiting Lake Delton, Wisconsin, you’re probably in town to have a wild time at one of many area indoor and outdoor waterparks. The area at large is better known collectively as “the Wisconsin Dells.” There is a ton of fun to be had, but eventually, you’ll need to feed the troops – even those youngsters with a one track mind on splashing good times. Where should you look? Search no further than Buffalo Phil’s. What got our attention was the fun train and western theme for our kids. Turns out, Buffalo Phil’s is just the ticket for the whole family while in town. 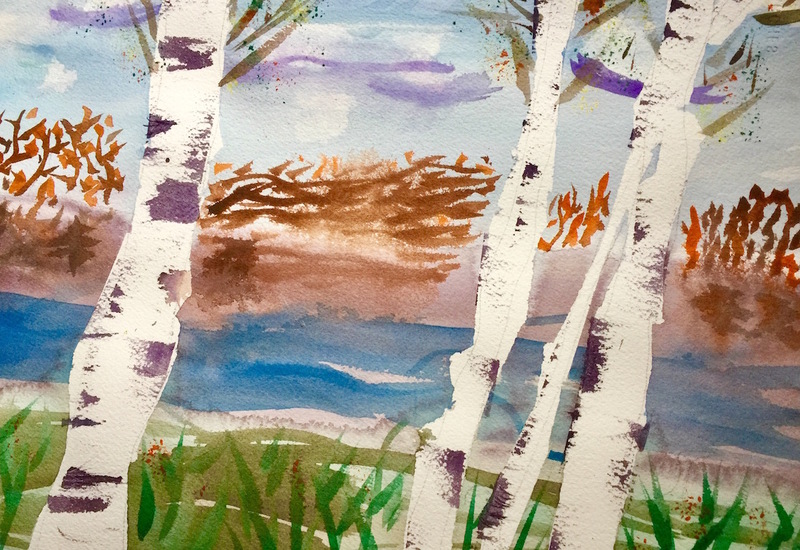 There are several reasons why we love the Wisconsin Dells/Lake Delton area for all seasons of fun. 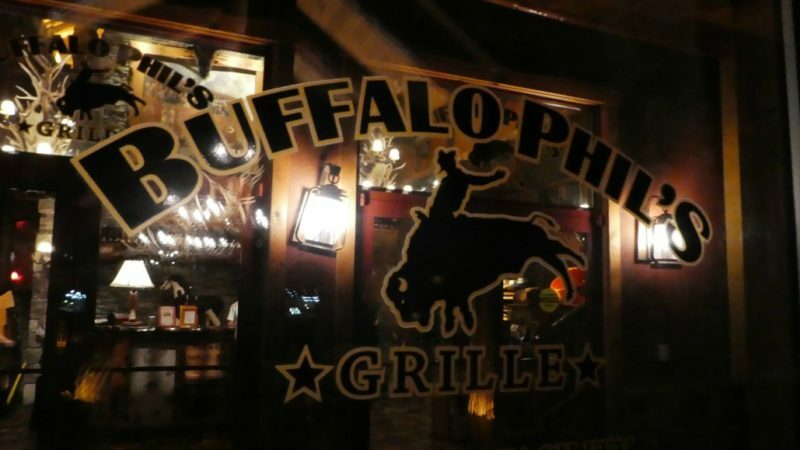 Our recent dining experience at Buffalo Phil’s (adjacent to MagiQuest and Great Wolf Lodge) is just another reason to add to a long list of excuses to keep visiting this fantastic family vacation mecca! Feast with your family while enjoying a calming, low-light atmosphere (and possibly much needed respite from waterslides, pool areas, and chlorine) while actually getting to enjoy and savor your delicious food. You might write off this place as just “another burger and fries” establishment in the busy tourist town. To do so would be foolhardy in the worst way! Initially, we found the restaurant while searching for kid-friendly options to dine at while staying at Great Wolf Lodge. 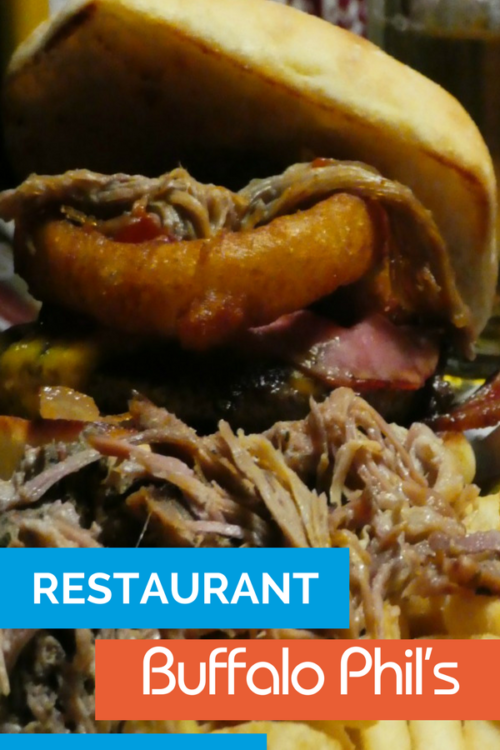 We had the most tender, juicy, flavorful pulled pork north of Texas! 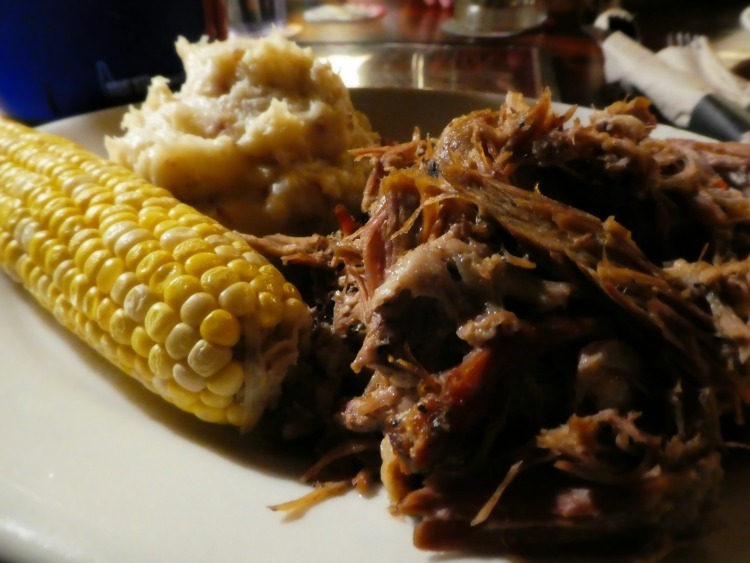 Slow cooked and smoked, it must have been an entire pound piled up on my plate! I will unabashedly admit, I only shared a tiny pinch of this tasty meat with my family. Yes, I was a hog. And no, they didn’t starve! There was PLENTY of food, and though my waistband would have fared better with a split plate, the foodie within was unable to stop devouring the dish. In addition to the giant meat pile, two sides plus cornbread and cole slaw were served. I picked corn and mashed potatoes, ever the quinessential Midwesterner. The kids had many choices thanks to a special menu for little buckaroos. We even had some fine tap root beer as a special treat! (My kids are those poor, deprived souls who never get soda.) The kids’ menu AND the restaurants train theme keeps the kids happy well into the meal, keeping parents happy too! The adults are able to ENJOY the food, not simply hoover down as many life-sustaining calories as possible for fear of a tantrum or food-throwing toddler drama! Usually, I try to lead the kids away from making choices like “hot dog” and “grilled cheese” at restaurants. The frugal mom in me wants them to eat something with substance and something which is not a staple food at home when we’re dining out. This time, however, my older son decided on grilled cheese and I let him. Happily, and not surprisingly, it arrived, via train, larger than life! Texas Toast (normally something my picky eater would turn his nose up at) was well-received as “cowboy grilled cheese” fitting in with the western theme and his current phase of being enthralled with all things cowboy. Parents, it’s a just a whistle stop back to your younger years here. You too will probably be smitten with the little engines. (The food is also a huge selling point here and I’m not just blowing smoke!) It’s commendable even without the conductors and trains conveying food to you! Why not venture to “The Waterpark Capital of the World” and fuel up with train-delivered food to keep the kids in awe all week long!? There ARE sometimes accidental derailments – mostly a spilled couple of fries or an off-balance plate. Once in a while, an excited child will reach for an item too fast. The food is quickly cleaned up and re-ordered. There is a dedicated train manager and many train conductors helping keep all the trains working and running smoothly. Food for thought: the little trains cost thousands of dollars each. It’s a quirky dining experience you probably cannot re-create at home! There is extensive maintenance on the trains themselves, ensuring you get your food delivered via flatbed behind a locomotive. The trains require a power supply but cannot be juiced from a regular wall outlet. There are five train stations which have mini transformers to power all eight train lines in the restaurant. TravelingMom Tip: You get a free train ride ticket with your check to use at the amusement park. It’s attached to the Buffalo Phil’s building. This can be used as additional incentive if your little ones start buckin’ and howlin’ before it’s time to go! 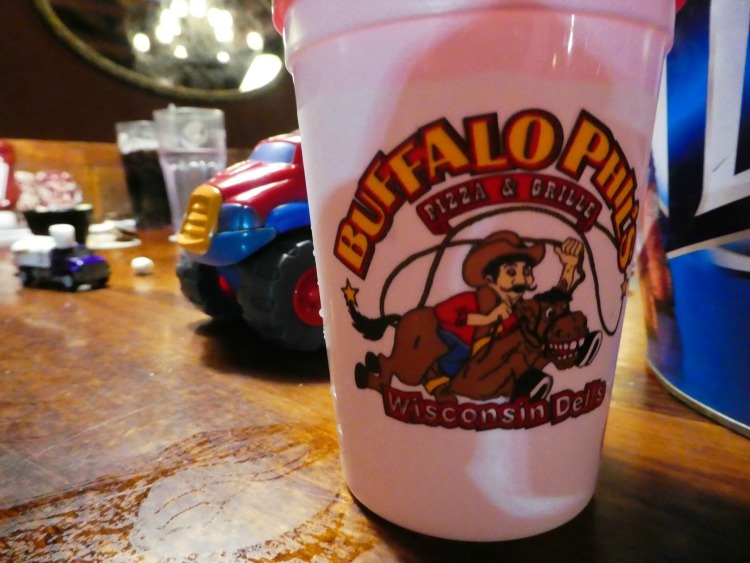 Buffalo Phil’s has all the bells and whistles of the perfect place for family dining in Wisconsin Dells! What fun to re-visit through your fine writing and photos a place I used to enjoy in the early 1970s. Lots of change for sure!